Before she walked away a winner, Camila Cabello posed on the pink carpet this evening(August 20th) 2018 MTV Video Music Awards at the Radio City Music Hall in New York. 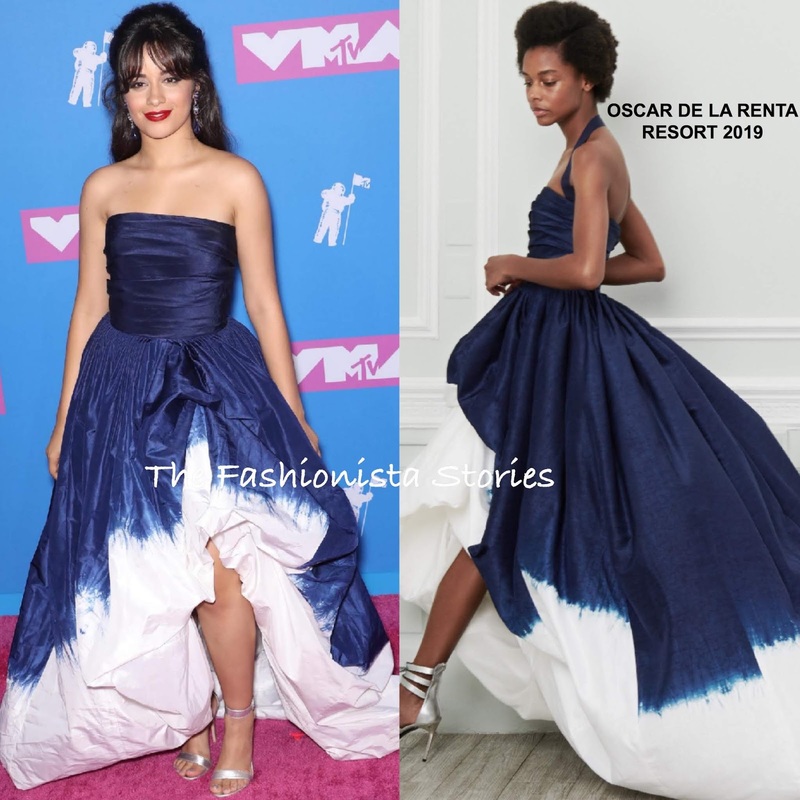 Camila turned to OSCAR DE LA RENTA, wearing a RESORT 2019 strapless navy & white high-low hem bubble gown. In the look book, the gown was shown with straps which Camila ditched. Love this gown but I think it is on the wrong wearer. This gown needs someone with height and I also think it doesn't work for this particular awards show. Do you think Camila made this ODLR gown work?